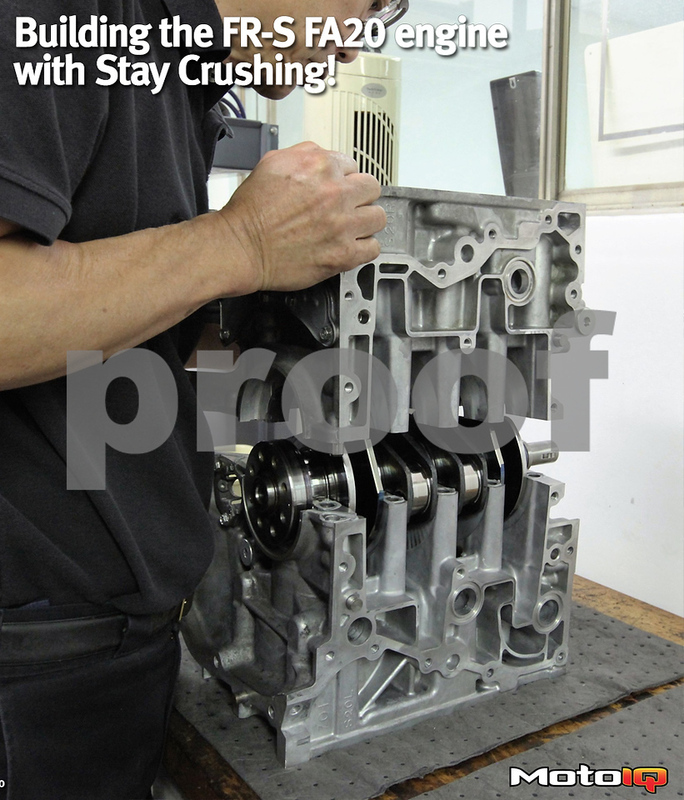 Building the FR-S FA20 Engine with Stay Crushing, Assembling the Engine! In our previous installments of the Stay Crushing FR-S engine build, we have been accumulating the parts to build the supercharged FA20 engine. Now we have everything, and it’s time to put it all together! 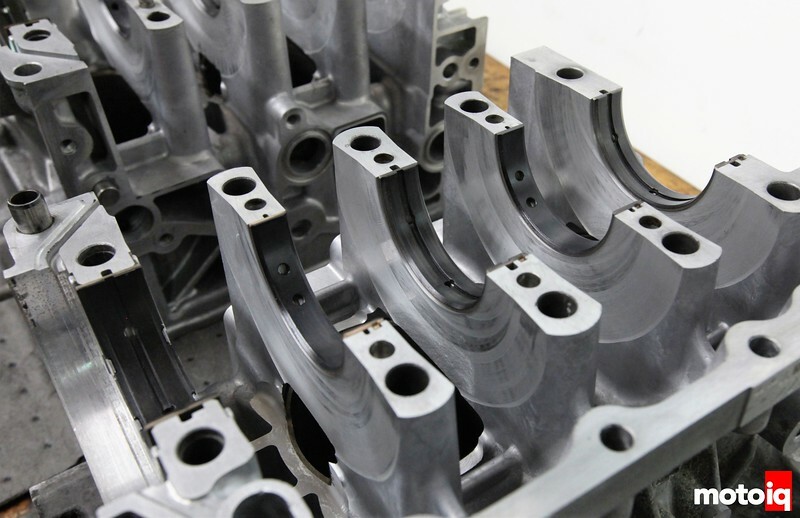 The FA engine has a few quirks to it in assembly and especially if machining is needed to the cases- we will get into some of that in the pages ahead. Our stock engine was in good shape and had fairly low miles, so it was somewhat uncomplicated. Read Part one of our FA20 Engine Build! Check out Part two of our build here! To start our engine build, all of the parts are laid out and cleaned to get them ready. If you are wondering about the bluish discoloration of the crank journals, it is from induction hardening (which is done by the factory). The light from this angle is really catching the blu-ish cast of the journals. Induction hardening uses electrical resistance to locally heat selective areas of parts. In the case of the crank, the journal surfaces are hardened in order to resist wear. 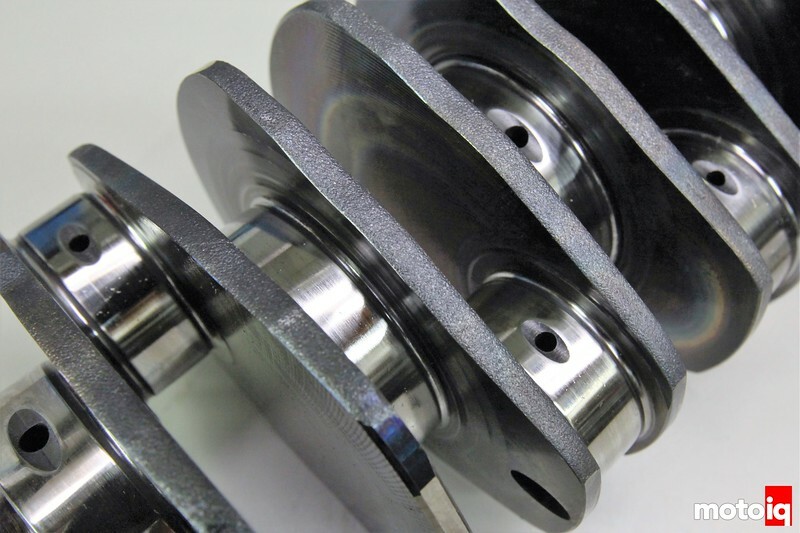 The inside of the crank and other areas remain soft and ductile for strength. Next, Howard measured the crank bearing bore diameters. The case halves were assembled and torqued with the King XP main bearings in place. Then, the bores were measured. After that, the crank journals were measured. The crank main journal diameter subtracted from the main bearing bore diameter is calculated to get the total bearing clearance. For aluminum blocks like the FA20, the main clearances are quite small due to the expansion of the block with heat. If the clearances need adjustment, Howard would use different King bearing shell thicknesses to adjust the clearance. It is acceptable to use different sized shells or to mix and match shells for smaller adjustments. Crank prep on our FA20 was pretty simple. After Mangnaflux crack checked the crank, we had the crank balanced and gave the journals a light polish.